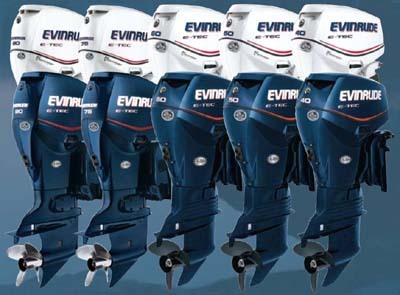 A jury has selected Evinrude’s family of E-TEC outboard motors for the United States EPA Clean Air Excellence Award. This prestigious award is intended to recognize and honor individuals and organizations who have taken risks in innovation, served as pioneers in their fields and who have helped to improve air quality. Remarkably, this is the first time the EPA has lauded such praise on a marine engine manufacturer. E-TEC outboards are direct injected, two-stroke, outboard motors renowned for low exhaust emissions that translate into miserly fuel consumption. The technology meets the stringent 2006 US EPA, European Union and 2008 California Air Resources Board (CARB) standards for ultra low emissions. E-TEC outboards are also unique in that new engines do not require a break-in period, neither do they require regularly scheduled service for hundreds of hours of operations. Because they blend only a trace amount of lubricant with the gas, there is no crankcase oil or filter to be changed. E-TECs are available in a wide variety of horsepower ratings.